Price:$50 per hour, $30 per half hour. Home Lessons Available? :house calls in Balmain / blue mountain and surrounding suburbs, and teaches from home in the lower Blue Mountains. Guitar Lessons in the Blue Mountains. As a professional musician for his entire adult life, Jordan aims to share and inspire a passion for playing guitar. 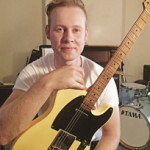 If desired, Jordan can easily help unlock the sometimes daunting world of music theory in a relaxed and enjoyable learning environment for the beginner guitarist up to more advanced levels of musicianship. 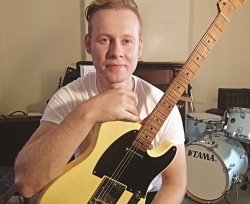 A full time musician and guitar teacher since the age of 18, Jordan specializes in jazz, country, folk and rock styles and also offers expert guidance on electric bass and double bass. Jordan can travel through the blue mountains to give Guitar lessons.